Templeton Hills Beef offers a healthier alternative for people concerned about the quality and origin of the food they put in their bodies. You can purchase our grass fed beef in San Luis Obispo, Santa Margarita, Atascadero, Templeton, Paso Robles and San Miguel. Our cattle are raised from birth and graze on the interior valleys of California’s Central Coast in and around the community of Templeton. We offer Black Angus cattle room to roam on many open acres of grassland. We know where our animals have been every day of their lives. They are never given antibiotics or hormones and never see a feedlot. Our hands-on management involve careful monitoring of our herd and its grazing practice to make sure both pasture and animals benefit. 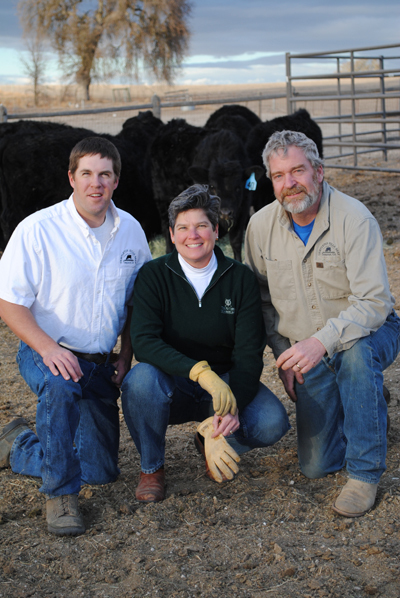 We have a connection with our cattle and our land, and take great pride in the stewardship of both. 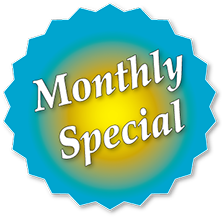 We always have local events on a monthly basis – click here to read more! BETTER FOR YOU. BETTER FOR THE LAND. Grass fed beef has a lower fat content than traditional store bought beef and as such has a wonderful flavor all its own. Because our meat it is leaner, the flavor is derived from the beef itself, not the fat. The fat content of our meat is lower then traditional, grain finished, feed lot, beef that we are used to buying from the super market. It is higher in Omega 3 and CLA (conjugated linoleic acid), beneficial fats that assist in brain and cell function and has been shown to reduce heart disease and the onset of diabetes. Grass fed beef is also an excellent source for iron, and vitamins A and E.
Our grass fed, grass finished, beef is raised on the central coast of California in and around the communities of Templeton, Paso Robles, Atascadero, San Miguel, and Creston as well on the coastal hills behind Cambria near San Simeon. It takes about 24 -30 months to grow our animals to a target weight of 1000 – 1200 lbs for harvest. We utilize the concept of rotational grazing as a corner stone of our land management technique. We move our animals onto pasture, allow them to graze it for a certain amount of time and then move them onto fresh pasture. This mimics how herbivores might move across grassland in the wild. It allows the pasture to be utilized by the animal and then gives the grassland a period of rest and re – growth. We offer our grass fed beef in any portion size from 1lb. of hamburger to the whole animal, and any amount in between. We package 10 lb. and 25 lb boxes of assorted cuts, as well as offer individual packages of steaks, ribs and roasts. This allows you, the customer, and flexibility in how you choose to purchase your meat. All meat is frozen, vacuum sealed and clearly labeled. If you choose to purchase a half or whole animal, which is the most economic way to buy beef, we work with you through the process. We will oversee harvest and delivery to one of the many butchers we work with. The butcher will then dry age, cut and wrap your beef to your specifications. We would be happy to advise you on the optimum way to do this. Once the butcher is finished, your beef will be ready for you to pick up and enjoy. Learning to read meat packages and understand what they mean has become an art form in itself. There are many different ways that producers market their meat. Listed below are the general classifications about how the animal is raised. This will help you make well informed decisions, even if you are purchasing your meat at the market. 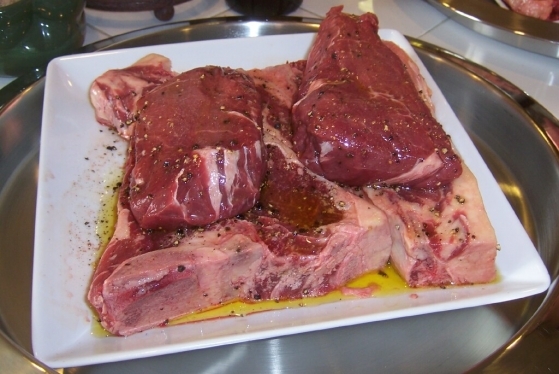 Shown above are Templeton Hills Beef t-bone steaks topped by filet. Grass Fed: Cattle spend their entire life grazing on pasture, but may be fed hay. Animals have free access to salt or mineral supplements. They have enough acreage to roam so that they condition themselves, thus limiting the amount of fat on the animal. Animals always have access to fresh water. Grass Fed/Grain Finished: Cattle spend most of their life on pasture, but then spend the last 4-6 months in a feedlot. They may be fed supplements, including antibiotics and growth promoting hormones. Animals have room to move around and always have access to clean water. Naturally Raised: Cattle can be grain finished or grass finished, make sure to read the package closely for more details. They have never received antibiotics or growth hormones. Ranches and farms must be certified by USDA and will have that statement visible on all packaging. Certified Organic: Cattle can be grain finished or grass finished, as long as feed is certified 100% organic. Animals have never received antibiotics or growth hormones, but may be given salt or vitamin supplements. Ranches and farms must be certified by USDA and all packaging must bear the official label. Templeton Hills Beef’s cattle are Grass Fed and Grass Finished. Our cattle are raised from birth on native pastures and never receive antibiotics or growth promoting hormones. Traceable- We know where our animals have been every day of their lives, and they have never seen a feedlot. We take great pride in our animals and the land they graze. Our goal is to offer you a consistent, healthy product whose flavor reflects the native grasses they eat. Templeton Hills Beef only ships to California, Arizona and Nevada – “Handling” is the cost of the insulated shipping cooler, while shipping rates are applied to each order by the pound. Please call us at : (805)237-8114 with any questions or comments. 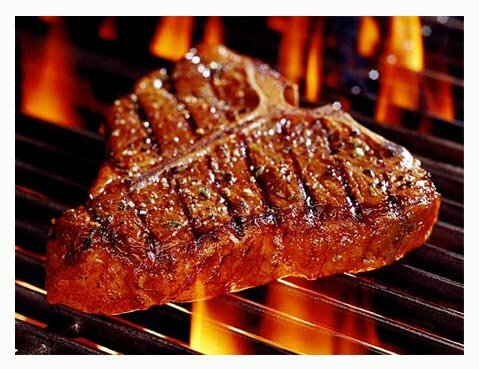 *Leaner meats cook faster, we recommend cutting your cooking times by 40%-50%.